Matthew 25: 35-36 For I was hungry and you gave Me something to eat, I was thirsty and you gave Me something to drink, I was a stranger and you took Me in, I was naked and you clothed Me, I was sick and you looked after Me, I was in prison and you visited Me. During the coldest winter months, a group of Newport churches open their doors and hearts to welcome in the city’s homeless from the streets. We provide a hot supper and drinks, a warm, safe bed for the night, toiletries, breakfast in the morning, and genuine friendship. Over and above meeting the immediate need for emergency shelter, we try to get to know our guests and tailor the support we offer to their individual needs. This commonly involves help with finding more permanent accommodation and support to overcome drug or alcohol dependence. It may be as simple as lending a listening ear or providing clean, dry clothing. For some years, under the umbrella of Teen Challenge UK, a team of volunteers had been using a mobile coffee bus to connect with and care for the rough sleepers on the streets of Newport. They aimed to help them overcome drug and alcohol dependence, as well as other life controlling problems. As the volunteers encountered the suffering on the streets (particularly through wet and cold winters), they were moved to come up with a solution. After visiting and learning from night shelters in London, the idea of opening Newport Night Shelter was born. It would be a place where the city’s rough sleepers could come and find much needed emergency accommodation, hot food, and a warm, safe place to sleep. At any one time, there are waiting lists for the direct hostels in Newport and even in the coldest and most severe weather, it can take weeks for the homeless to find temporary or permanent shelter. The idea was presented to local churches and organisations, and with their help Newport Night Shelter began in December 2009. Every winter since, the night shelter opens for four months, from the beginning of December through to the end of March. The project partners with 18 different churches to make this possible, they give Newport Nightshelter the use of their building and provide a team of volunteers to man the shelter. 8 churches are used for the first 2 months. A different 8 churches are used for the remaining 2 months. It has been a great success! We believe the secret to this success has been close partnership working with Churches and front line services in Newport. Eden Gate manages Newport Night Shelter on behalf of all the churches involved. In Newport (South Wales) there is a need for emergency accommodation for rough sleepers whilst long term solutions are being sought. The Night Shelter fills in the gap in providing safety and refuge for those who do not have the option of temporary or permanent accommodation, and continue to struggle with their cycle of homelessness and addiction. 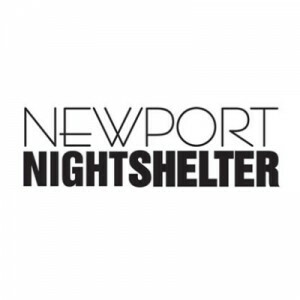 Newport Night Shelter is a project that relies on volunteers from across Newport and surrounding areas to open. Without our faithful team of volunteers, we would not be able to open. We offer a warm welcome, hot supper, bed and breakfast in a safe environment to 12 homeless guests. The shelter operates in a different church building each night of the week. In all, 16 churches and over 400 volunteers are involved over the 4-month period. Newport Nightshelter is not a drop-in service. Everyone who accesses the shelter MUST be referred. Drop-ins will be turned away. We are able to accommodate up to 12 Guests at the shelter who will receive help and support to find permanent or temporary accommodation. 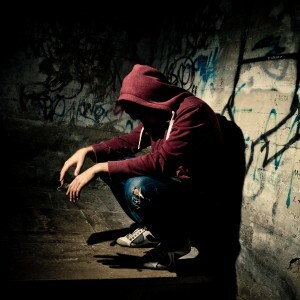 Alternatively, our experienced staff will provide support to access drug & alcohol rehabilitation services either in Newport or outside the area. The registered charity Eden Gate manages the Newport Night Shelter including the referral process and training on behalf of the hosting churches. Newport Night Shelter aims to minister to the spiritual needs as well as the emotional and physical needs of our guests. We do this by being a visible testimony of Jesus Christ, showing Love, kindness and hospitality to our guests in a non-judgemental way. We aim to achieve a calm & relaxed atmosphere where people can feel safe and welcomed. Our vision is to offer a practical solution to the homeless problem in Newport. We will do this by continuing to develop partnerships with local Churches and Stakeholders. Our volunteering application form is available as a printable PDF file attached below which will require printing and delivering to us at our premises or as an electronic file which can be emailed. Should you wish to receive an electronic copy then please provide us with your name and email and we will forward one to you.